one day a girl went on a family vacation with her cat and mom. they went to her mom's old friends place. but what she didn't know was her mom's friend was April o-Nell and she had some guests of her own staying with her in the attic. she also had some..
mysterious stones. what will happen when this girl meets the brothers and sees these stones for herself? read and find out! Shredder makes a big discovery that will help him destroy the turtles and Splinter. After the turtles find out about his plan, they have to react quickly to stop him. When not everything goes as planned, the turtles have to think quickly to make a better plan. Will Shredder be able to get his revenge? Or will the turtles be able to escape the Shredder? As you already know this is the second book. If you have not already read the first book, it's called "Our Greatest Fear." I suggest you read that one first, but if you don't, this one will still make sense. Credit goes to Awesome_Turtle_ for the greatest inspiration she gives and amazing pictures. Twilight Sparkle is one of the most beautiful girl in her hometown and she is one of the fairest of them all and was from the most magical family. But one day a girl name Adagio Dazzle, who is beautiful but selfish, was jealous of Twilight's beauty and order her two sisters to kill her. But her two sisters warn Twilight so she leaves her home town and then she met the Good Luck Charms and become their newest member: Magic Twilight Sparkle. But one day, Leonardo, one of the Good Lucks Charms enemy from the Bad Fortunes have met Twilight and they both have started to fall in love with each other. Join Twilight Sparkle in her new adventures with new friends, new enemies, new love, and new magic. Rykardo is an elite teenage mutant ninja turtle just like Leonardo, Raphael, Donatello and Michelangelo are but the only problem with him is that he was raised in the Footclan by Shredder but was created by the Kraang when they stole some of Leo's DNA when he was just a baby. Rykardo is stuck in the trance of being good or evil but he slowly starts to make up his mind the moment he meets the one who he's meant to destroy and Rykardo's life gets turned upside down. Leonardo. Leonardo Hamato, was raised along with 'his' brothers. But the truth about Leonardo. Is that he isn't a boy. 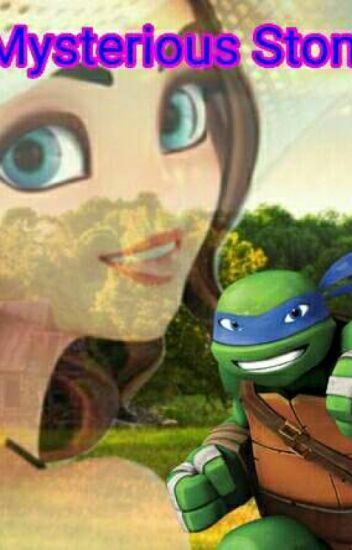 Leonardo was a female from the beginning. She takes one special pill every month to make her have body features that a male would have. Will he keep a secret for her? Or will he tell the others? What will the others think? Leo has been captured by the Footclan and Shredder has used a brain worm on him into controlling him but something inside of Leo snaps him out of it as he later discovers that he has the power to be in the form of a fox whenever he likes. But what Leo's worried about is how his brothers will react if they new. Can Leo keep his powers a secret. Or will he have to tell them and face the cost of their reaction. Leonardo and his brothers were on their usual night patrol. Things get suspicious when a mysterious van follows them. The turtles, completely aware of their stalker try to scare them, but the men coming out of the van weren't scared one bit. Leonardo told his brothers to run, in order to save them and avoid the men finding their lair. These mysterous men captured Leonardo and brought him to a mysterious place, full of harmed dogs. After some solid time spent there, Leonardo starts to give in and accept his fate as one of the fighting dogs, slowly forgetting who he is, and who's his family. He even starts to understand what the dogs were saying. Will his brothers save him, or will Leonardo stay a 'fighting dog' forever? Did Leoanrdo lost all the will to refuse his madness? The turtles are having an ordinary day in the sewers when Donatello makes a great discovery. He discovers that one of the turtles aren't related to the other three! It turns out to not be that great to the other turtles, or to at least one of them. After a few disagreements about Donnie's discovery, the family starts to fall apart. And when you think the worst has come, there's alway more bad things coming! Leonardo is a demon turtle who lived with his three demon brothers, his human sister his rat master and Father and his two human in the demon world right where Canterlot can be seen. Leo has been very lonely and never loved anyone. Then Twilight Sparkle a beautiful girl from Canterlot meet him and soon began to have feelings for him. Soon both of them have been very close. Can Twilight Sparkle be the girl that can help Leo and fix his broken heart? I hate you. Who knew those three words could do so much to a person, or turtle. After a heated argument those three words leave Leo with a fragile mindset. He's drowning in his own mind, falling into a deep depression,  succumbing to self hatred. Will his brother be able to save his broken mind before it's too late. Will Leo ever be the same again. This story includes self harm, eating disorders and may even include attempted suicide. This is a trigger warning!! I'm also writing this as an awareness to anyone who may be suffering with depression.